P-glycoprotein (P-gp) has a major role to play in drug pharmacokinetics and pharmacodynamics, since it effluxes many cytotoxic hydrophobic anticancer drugs from gastrointestinal tract, brain, liver and kidney. Piperine is known to enhance the bioavailability of curcumin, as a substrate of P-gp by at least 2000 %. Besides these at least 50 other substrates and inhibitors of P-gp have been reported so far. All P-gp inhibitors have diverse structures. Although little is known about binding of some flavonoids and steroids at the NBD (nucleotide binding domain) of P-gp in the vicinity of ATP binding site inhibiting its hydrolysis, a valid explanation of how P-gp accommodates such a diverse set of inhibitors is still awaited. 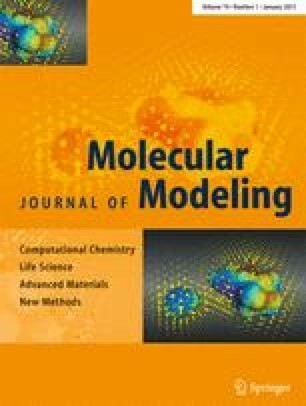 In the present study, piperine up to 100 μM has not shown observable cytotoxic effect on MDCK cell line, and it has been shown to accumulate rhodamine by fluorescence microscopy and fluorescent activated cell sorter in MDCK cells. Computational simulation for piperine and some first and second generation P-gp inhibitors has shown that these dock at the NBD site of P-gp. A comparative simulation study has been carried out regarding their docking and binding energies. Binding conformation of P-gp co-crystallized complexes with ADP, AMP-PNP (Adenylyl-imidodiphosphate), and ATP were compared with piperine. The receptor based E-pharmacophore of docked piperine has been simulated to find common features amongst P-gp inhibitors. Finally it has been concluded that piperine could be utilized as base molecule for design and development of safe non-toxic inhibitor of P-gp in order to enhance the bioavailability of most of its substrates. The online version of this article (doi: 10.1007/s00894-012-1535-8) contains supplementary material, which is available to authorized users.